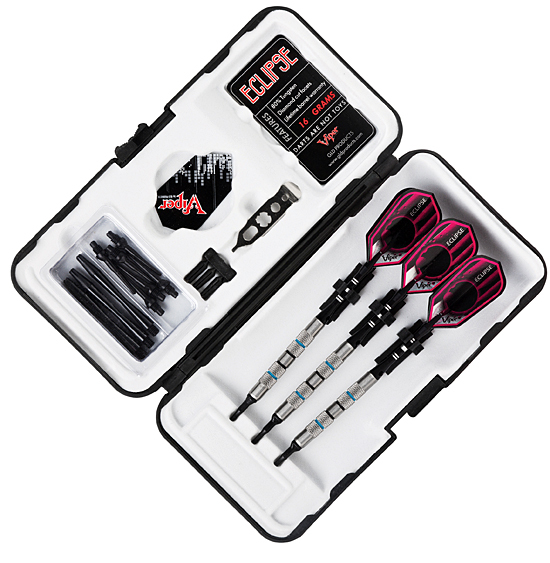 Keep your darts safe and protected in the Deluxe Dart Pal Dart Case from Casemaster! 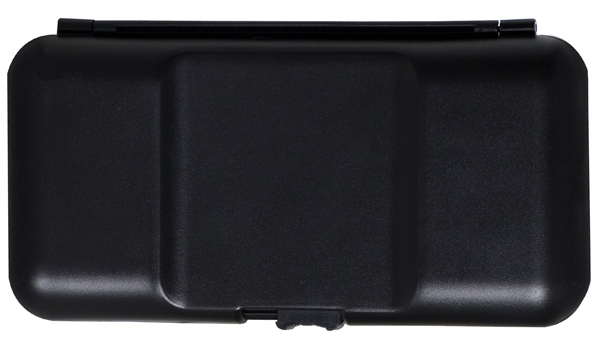 This dart case is constructed from sturdy impact resistant resin that is made to hold up to drops and keep moisture out. Inside is a firm but soft lining that is designed to further blunt any force, yet keep your barrels from scratching or flights from being damaged. The Deluxe Dart Pal is designed to hold a complete set of three darts in snugly fitting slots and tough brackets to reduce movement when they are locked in. More movement increases the risk of breakage in shafts and tips, and can bend flights. The Dart Pal is specially engineered to minimize that risk. 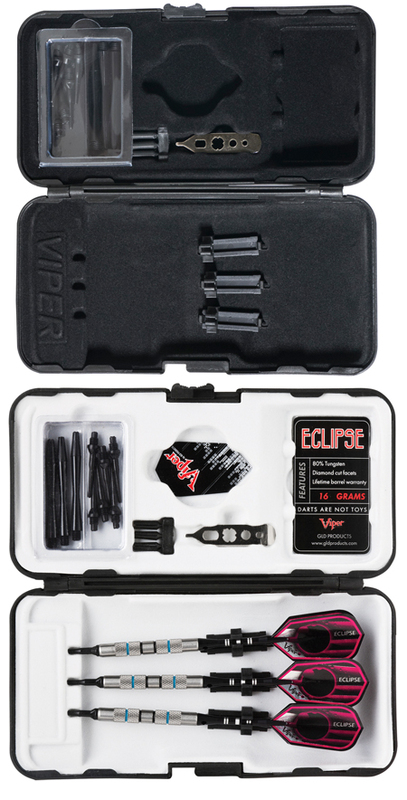 This case is an all-in-one solution for storage; there are additional compartments for extra flights, shafts and tips as well as custom slots for flight protectors and a dart repair tool. In this model, there are two colors of interior available: black or white. Case is constructed from sturdy impact resistant resin, made to stand up to the elements and protect your darts. 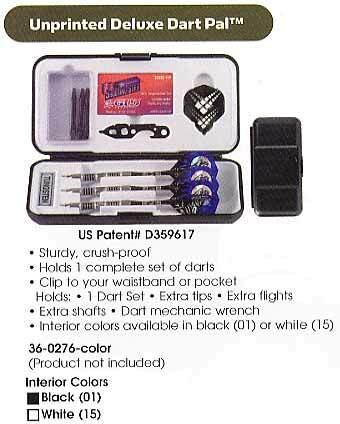 Enough storage space for a complete set of three darts. Conveniently sized for easy carrying and perfect storage. Darts are secured in snug slots and brackets to eliminate movement that could cause breakage. Additional storage space for everything else you need at a dart outing, extra slots for flights, shafts, tips, flight protectors and a dart repair tool.